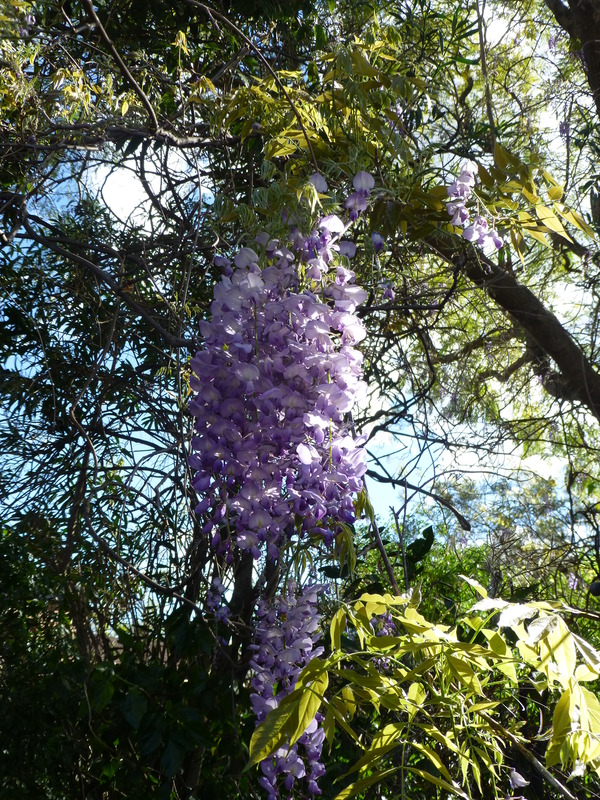 Here in Sydney, the Wistaria is out. Many of the older homes have displays of this adventurous climber, and now and then one sees it growing on a support in the garden of a modern home. It’s such a pretty flower, but it really comes into its own as a perfumed plant. Unmistakeable! 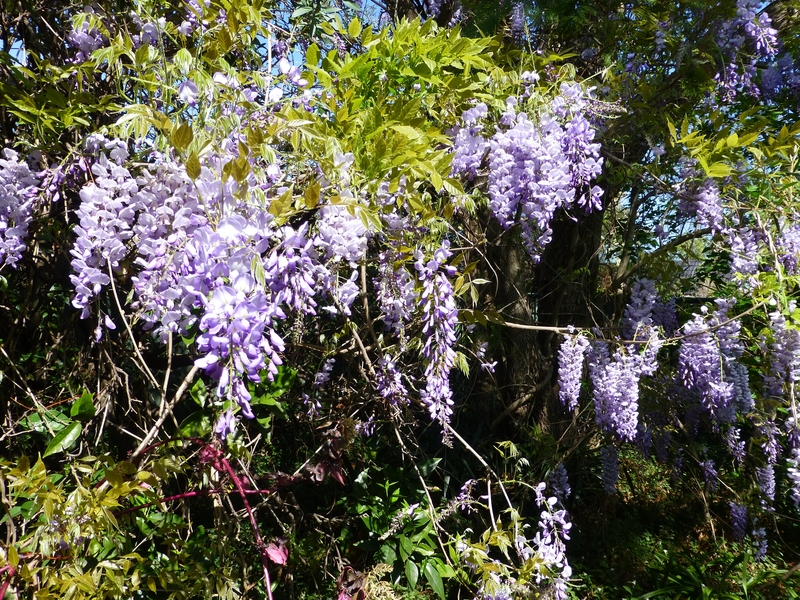 Here in Sydney, Australia, we are in the midst of Springtime glories. 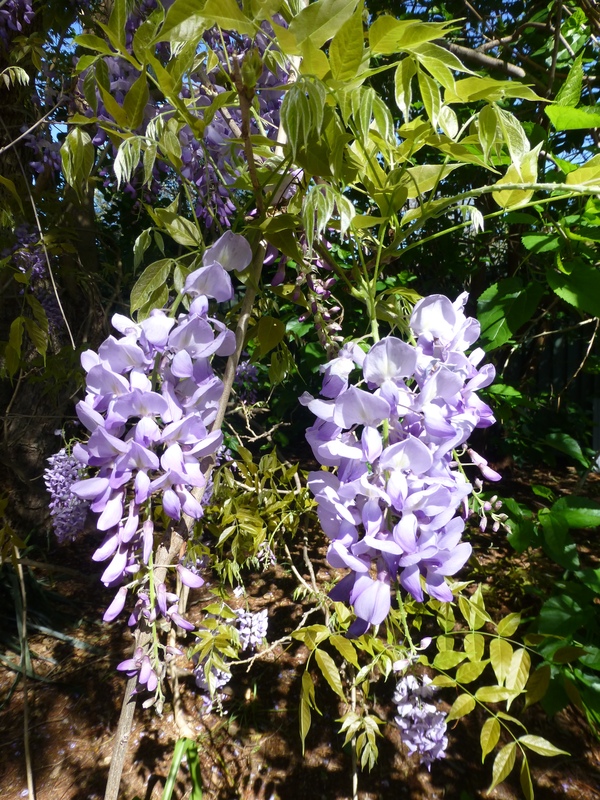 Judging by perfume, colour and form, one of its top contenders in the stakes of delight must surely be Wistaria. Though its glory is as short-lived as it is spectacular, its presence is surely one of nature’s special treats. Not so popular in modern gardens due to its very vigorous growth, it’s still to be found in abundance in some of the older yards, and sometimes it’s seen twining along a front fences: even trained as a standard on a trunk-like support. The illustrated display is growing in our back garden.